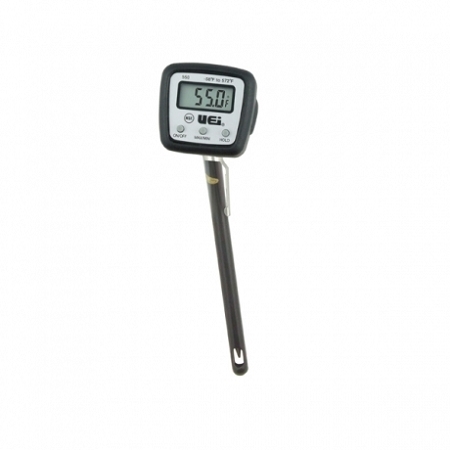 The 550B digital pocket thermometer has a new protective boot with a built-in magnet and offers all the required features and ranges needed for today’s HVAC applications including a water resistant ergonomic head for easy display readings. Housed in a hard case sleeve that also serves as a pocket clip, the stem can be slipped into the loop (built into the metal clip) to offer additional support or to insulate from the heat of the measured substance. Caution: When measuring above 300°F, do not insert stem into substance beyond crimp. 20 TruReward$ points will be placed in your account when you buy this item.